Additional Info: Also added extras - Bluetooth music speaker, fold out ironing board, hair dryer. For your complete comfort and relaxing holiday experience, upon arrival all beds will be made up with fresh clean bedding and you will have a welcome pack containing tea, coffee, sugar, milk, toilet rolls, washing up liquid, sponge and cloths. £100 deposit to secure booking. Balance required 6 weeks prior to your stay. 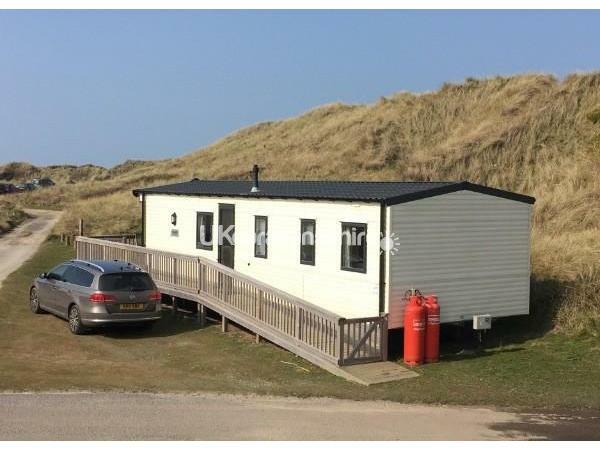 An additional £100 key and damage refundable deposit is also required with the final balance payment, which will be refunded after caravan inspection within one week after your departure. Part weeks can be requested. 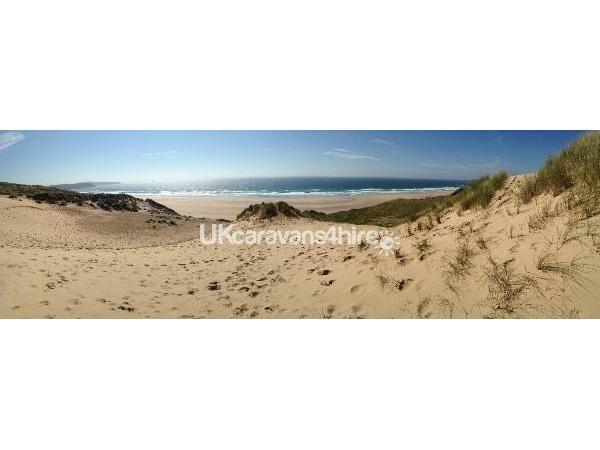 This year we are hiring our luxury 8 berth Willerby Lynshurst caravan that is sited in a beautiful, private area of Haven holiday park, in Perran Sands, Perranporth, Cornwall. 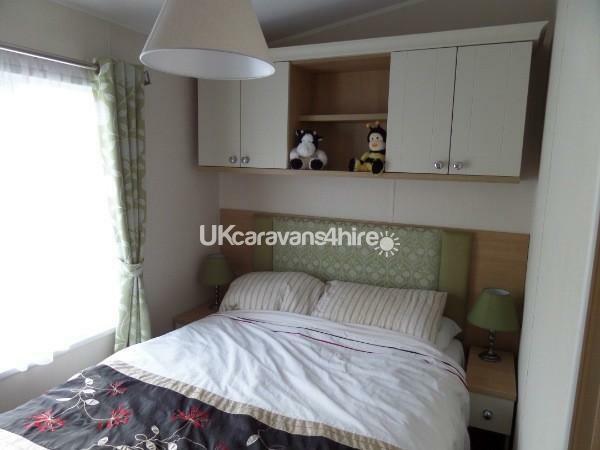 The caravan is just one year old, double glazed and centrally heated. 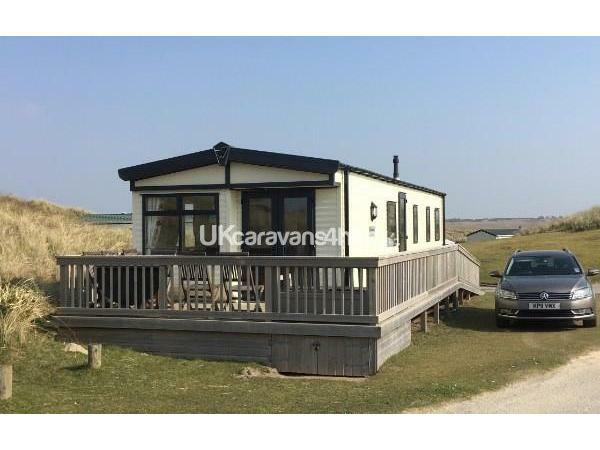 It has one double bedroom, two twin rooms, kitchen, dining area, two toilets and shower – plus open plan living area with transforming settee/sofa bed. 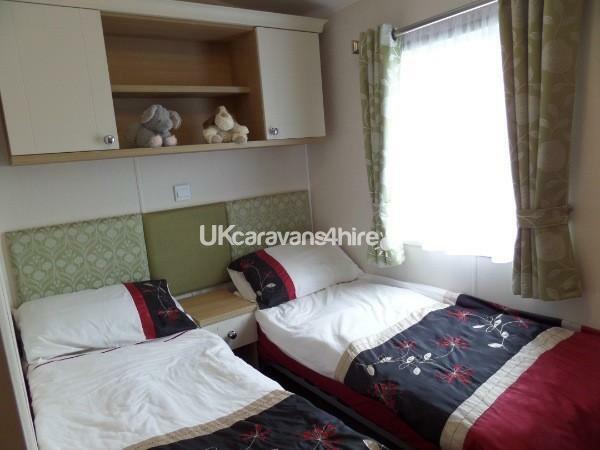 The caravan is fully equipped with oven, hob, microwave, fridge, all kitchen utensils, 32 inch LED flat screen TV / DVD player and Bluetooth music speaker. 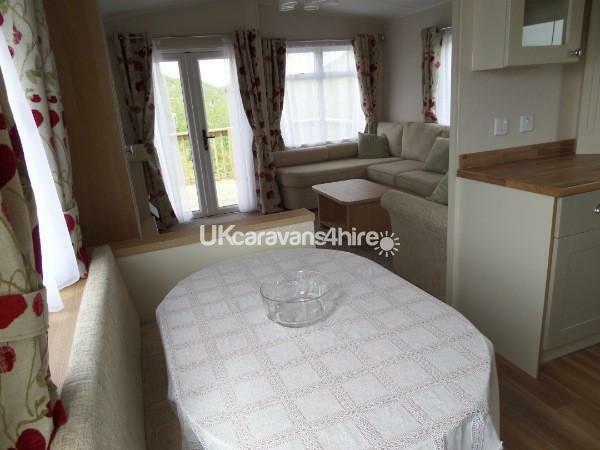 The caravan’s patio doors open to a raised wooden decking veranda complete with table and six chairs. 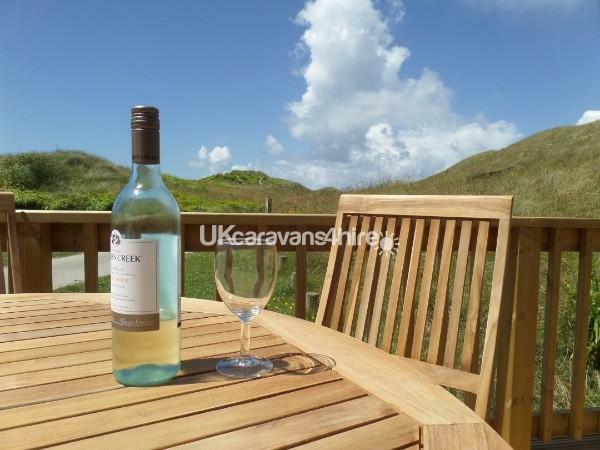 Ideal for extending your living space, for alfresco dining or simply enjoying a glass of wine whilst watching the evening sun set. 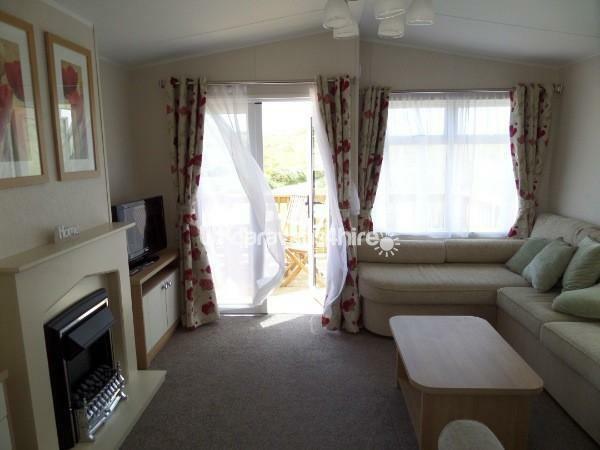 Sited on the edge of the holiday park in picturesque sand dunes, the caravan is just a short stroll to the centre of the park’s entertainment and activities yet in a beautiful private position. 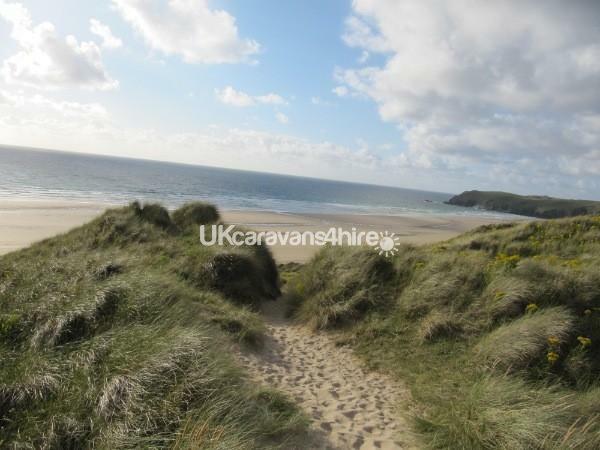 There is immediate access to scenic coastal pathways, some of which leading directly down to a long expanse of sandy beach. 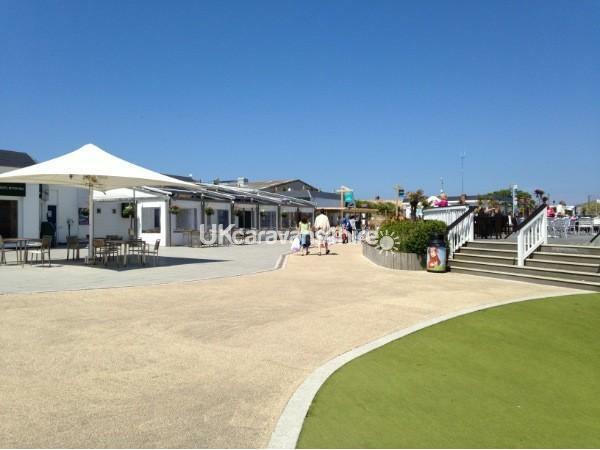 The Haven holiday site amenities include two restaurants, two bars, pizza plus fish and chip takeaways, supermarket, launderette, large club house offering nightly entertainment and amusements. 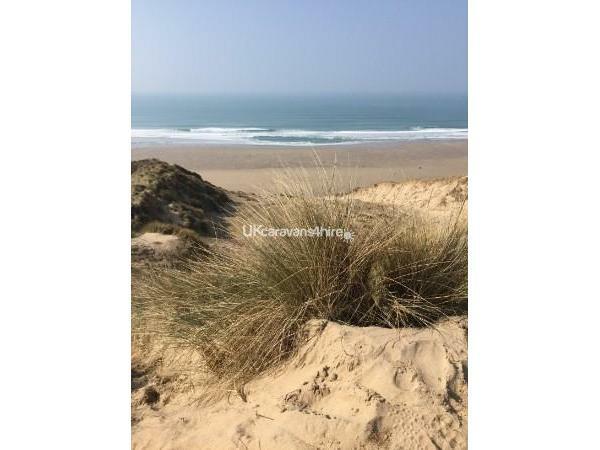 Sporting activities also offered on site include indoor and outdoor swimming pools and slide, roller skating, trampolines, crazy golf, football area, archery, fencing, gym, surfing lessons, and hire of cycling karts. Water walkers and aqua sports can also be booked in the sports hub. 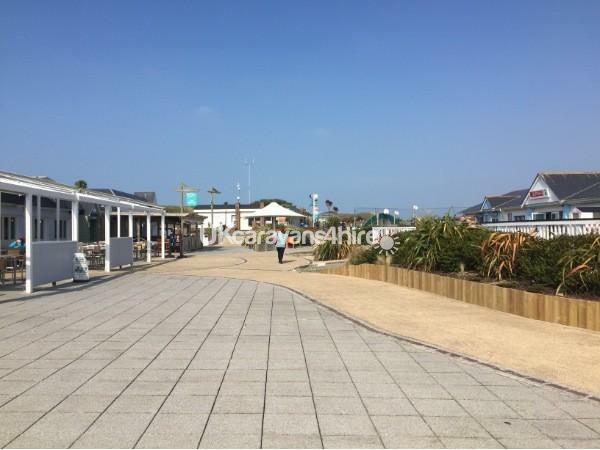 Additional Info: Organised sports lessons, roller disco, surfing lessons, bike cart hire and trampolining. play areas, astro turf football pitch.